Thanks for logging on this week. I have been extremely busy this week and will be pretty much “out of pocket” for the next three. 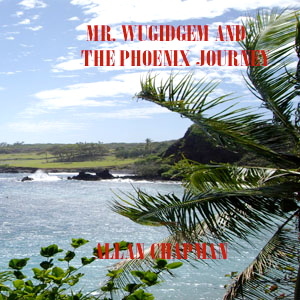 Rather than leave you hanging, I am re-podcasting the three episodes comprising Mr. Wugidgem And The Phoenix Journey over the next three weeks. In Episode One, Mr. Wugidgem, Debby, and Michael launch their adventure from deep in a redwood forest, and then descend into gloom. Enjoy! Thanks for joining me today! Please be with me again next week for the next exciting episode of Mr. Wugidgem And The Phoenix Journey when we’ll see Debby, Michael and Mr. Wugidgem run headlong into trouble. Thanks again for listening! Thanks for joining me today! Please be with me again next week for the next exciting episode of Mr. Wugidgem And The Phoenix Journeywhen we’ll see Debby, Michael and Mr. Wugidgem run headlong into trouble. Thanks again for listening! 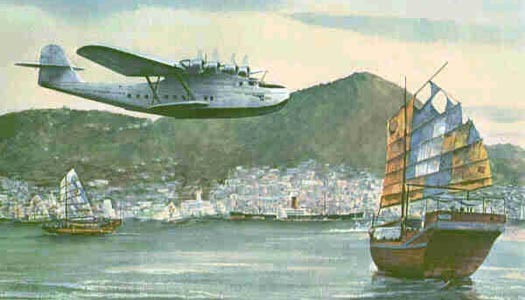 I’m Allan Chapman, and welcome to Episode 22 of my Dad’s book, Talking To The World From Pan Am’s Clippers. Last week we saw the dramatic technological changes at Pan Am after World War Two. Today we’ll travel with him to India! Thanks for joining me today! If you would like to listen to any of my 5 Children’s Stories, please go towww.chapmanchildrenstories.blogspot.com and then scroll down to Episode One of Adventures With Mr. Wugidgem to begin with the first book. Please be with me again next week when we’ll see Dad actually fly an airplane! Thanks again for listening! DIRECT LINK TO EPISODE 22.